Hello crew I need some assistance. Today on the lake while idling out I get an engine temp alarm. The impeller was replaced a few months ago at beginning of season. I shut it down and was towed back in. What are your thoughts? It’s a 2016 25 LSV with the 575 motor. I hope I just need a new impeller, fingers crossed. Depending on how it was winterized I would check your raw water sensor on the line. Sometimes that is removed to drain the line and might be lose. I had that issue before. Also check this thread. Did you bump the throttle a bit to make sure it was taking in water? Yes I did. The boat has ran great all season long so far till yesterday. I've put close to 50 hours since the impeller was changed at the start of the season. I am definitely not a mechanic. I wish I had some more skills in that department to be able to check and change the impeller myself. 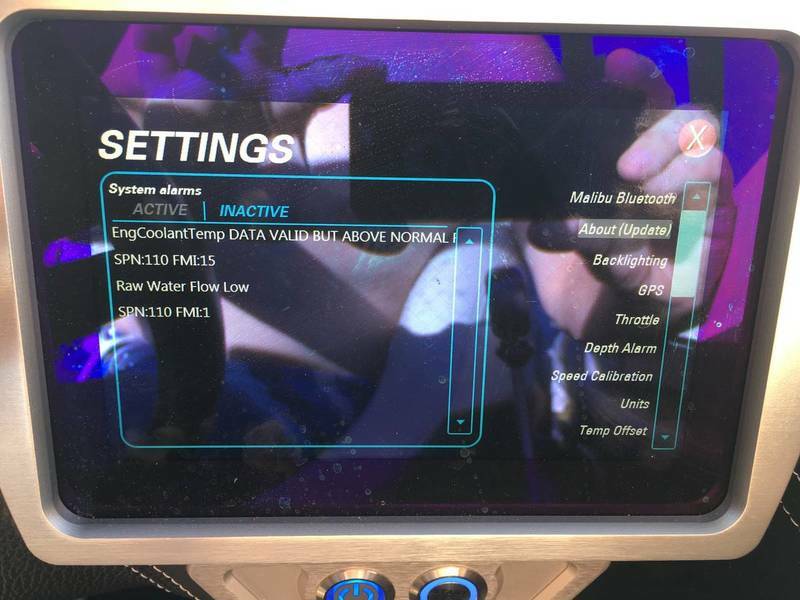 I'm concerned that also the closed cooling system with this Raptor motor might be having issues. The coolant level looked good. We have big family plans this coming weekend. I hope I can get it sorted out by Friday. Were your temps high? I’ve had a similar code pop up twice, both times checked temps and impeller no problems. Turned off boat and battery, fired back to and no warnings. Temp was higher than normal. Started to climb to 189. Boat back in action. 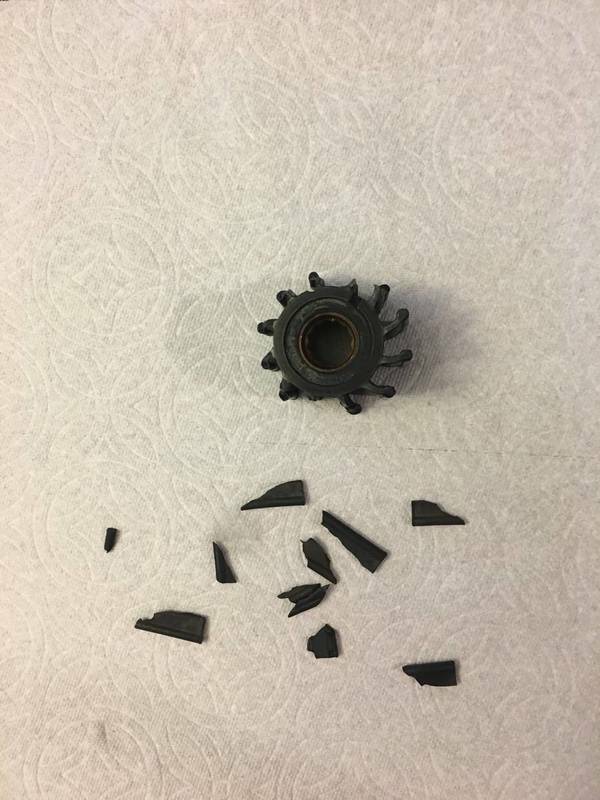 It was a shredded impeller. Hard to believe after only a few months and around 40 hours it would break down. Just happy to be back on the water. Was that a Johnson impeller or some Generic? Does your model have a raw water strainer on it? Something caused that, I highly doubt the impeller did that "by itself" you should try and find the root cause otherwise it will happen again.